Vivekananda Kendra Arun Jyoti organized training camps for Balsevikas, Anandalaya Acharyas and Health Workers at VKV, Jairampur. The camp was inaugurated on 3rd April 2015 by Sri H.Matcha, Retd. ADC of Tirap. 18 Health workers, 25 Anadalaya Acharyas and 63 Balsevikas attended the camp. The participants were from Tirap, Longding, Changlang, Namsai and East Kameng districts from Arunachal Pradesh. Health sessions were taken by the Doctor of Arun Jyoti and Dr.M.Khimhun, DTO, Changlang. Some well-wisher teachers trained the Anadalaya Acharyas. 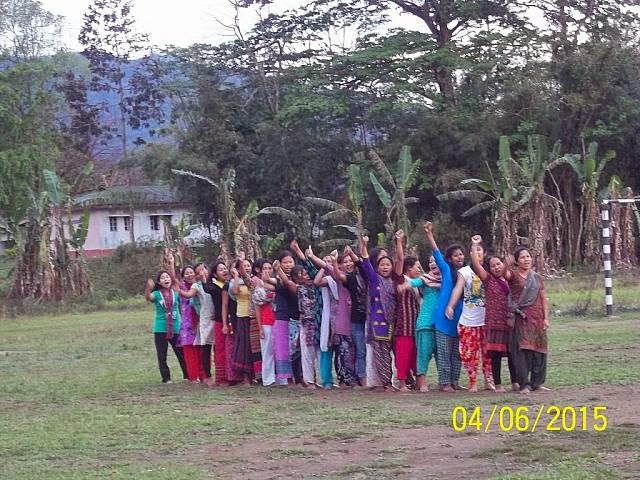 It is to be mentioned that Arun Jyoti is running 92 Balwadis in Arunachal Pradesh.